Select Import, Novell Printers. The Printer Import dialog will open. Select the Novell printer object(s) on the left and the desired target folder on the right. If you would like to link a Novell printer object to an existing Printer Installer printer, select the Printer Installer printer in the right pane instead of a folder. Click the green arrow. The printers will then be copied to the desired folder. 6. Convert the end users Novell printers. See the section "Converting Existing End User Printers" below. To successfully migrate a printer the printer must be installed on the computer running Printer Installer Migrator. Printer preferences and device settings will be copied from the printer and applied to the printer being created on the Windows print server. Note: Only 32bit printer profiles are imported. Click the printer name, or right click the printer line in the queue to access this option. Renames the printer during migration. Open the Printer Installer Administrator and select Tools > Settings > Client. Enable the Enable Printer Installer Client to Convert Novell Printers to TCP/IP printers option. If you would like to restrict the printer conversions to a subset of the computers with the client installed, check the box marked Enable Novell conversion item-level targeting. Then click Show Filter and add the users, computers, OUs, or IP address ranges you would like to have converted. Login on a computer that has the Client installed and the Novell printers will be converted. See "Options for Converting End User iPrint Printers" below. Tools > Settings > Client > Sync General / Port: If enabled, the unmanaged direct IP printer Printer Name, Location, and Comment fields will be synced with the matching printer’s values. Tools > Settings > Client > Sync Driver: If enabled, the unmanaged direct IP printer driver will be synced with the matching printer’s driver. Tools > Settings > Client > Sync Profile: If enabled, the unmanaged direct IP printer profile will be synced with the matching printer’s profile. To successfully sync the profile, the printer must have the same driver the profile is associated to in Printer Installer. If you enable the “Driver Sync” option, the driver will be the same since it is being synced by the client. Q: What drivers will be included when the printer is imported? 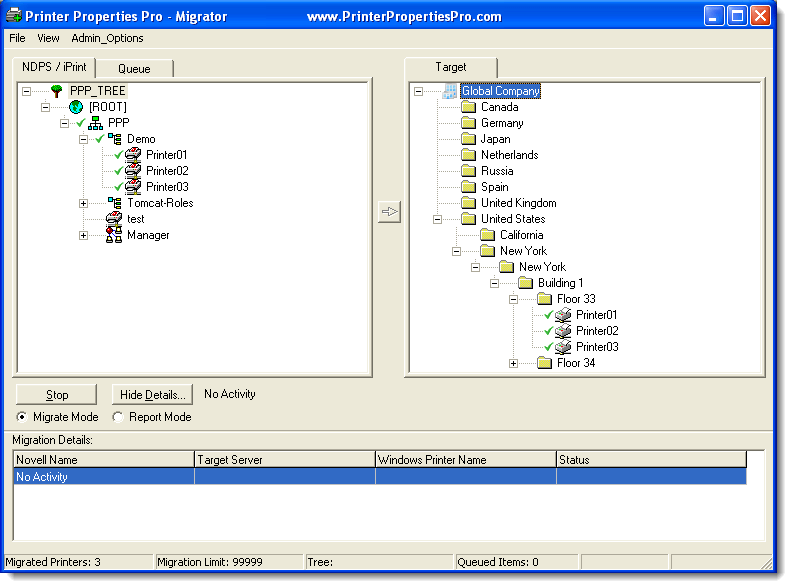 Q: Can printer profiles be included when the printer is imported? A: Yes. 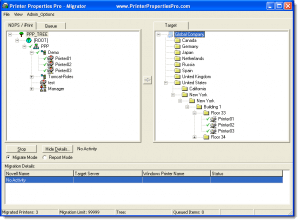 Enable the"Require Novell printers to be installed locally and copy printer" option. Q: How does the client match the printers?